The study focused on the negative outcomes experienced at the intensive care units. The author attributed the rise in ICU related deaths on the workload experienced by nurses. Limited studies have focused on this issue. Insights from the British association if prenatal medicine, pointed out on the rise of the incidence related to the case. The rises in cases have been attributed to high workloads being experienced by nurses in implementing their roles at the ICU facilities. If this knowledge on nurse’s workload is better understood in the health care arena, ICU related deaths could be reduced significantly. Mitigating on nurse workload and nurse-patient workload could improve outcomes for the patients, Needleman et al., 2011. The author attributed to lack of research in the area focussing on nurse workload and n nurse patient ration in relation to ICU deaths. Studies undertaken have not focussed on this, further research undertaken as illustrated have shown inconsistencies. Currently as noted, researches done have show inconsistencies on nurses staffing issues as outlined, (Hamilton, Redshaw & Tarnow-Mordi, 2006; Grandi, González, & Meritano, 2010; Pillay, Nightingale. Thus the author is gearing towards enhanced patient care and reduction in low death rates and decreased burn out. The research study adopted an objective inferring on the establishing nurse to patient ratios and results obtained in ICU units. To achieve this, the study aimed at establishing the association between the nursing workload and nurse-patient ratios in improving care for NICU patients, (Aiken et al., 2002). The outlined aims and objectives of the study are relevant to the study in that it answers the key focus of the study. The objective assesses two parameters which include nurse-patient ratio and nursing workload on the negative outcomes at the adult intensive care units. The study adopted a Meta-analysis search for qualitative studies undertaken on the topic of interest. The study seeks to find out studies in medical databases which is the repositories for allied studies. Further, the study adopted the use of Boolean employee relation in searching for the key information needed. Further, the use of STROBE method of study is an essential and most standard tool for qualitative study. The data cited in the studies obtained are crucial in answering the research questions. Further to enhance on the type of data, both qualitative and quantitative information was obtained from the study. Reports done from organizations such as the British Association of prenatal medicine was included in the study as a key source of information needed. 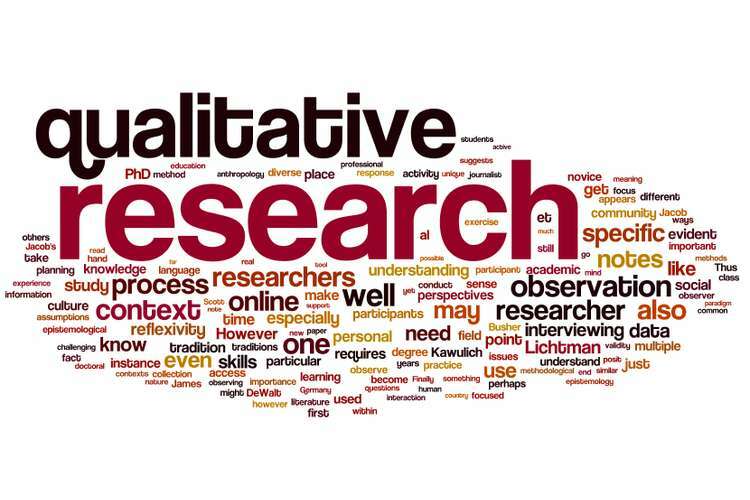 In qualitative research, studies undertaken in less than 10 years are often considered and given priority. However in this study articles published between the year of 1990 and 2010 were included in the study, this portrays the inadequacy of literature information outlining the inconsistencies of research undertaken. Further analysis of the kind of data received from the literature review was assessed in the study. Further, the author noted inadequate research report obtained answering the objective if the study. Due to the weakness of the literature research the study findings no framework was developed. The study included six independent studies. These studies reported a total of 19,570 patients being nurses at NICU between years 1966-2007 in various countries such as the USA, UK, and Australia. Further poor health outcomes were reported, these included underweight infants being noted in three studies while two studies showed that there was registration of infants at the NICU. Further four studies attributed reported from the NICU when compared to the nurse-patient ratio as its outcome. One study linked low nurse to patient ratio with the lower death rate, with suggestions that low handling of delicate infants yields better health outcomes, (Callaghan, Cartwright, O’Rourke, & Davies, 2003), while three studies established an association with high mortality rate. Other studies attributed adverse health outcomes emanating from unqualified caregivers, which is a consequence of boosting nurse to patient ratios. Further, the findings of these studies implicated nursing practice. A high incidence rate of 19570 infants who were nursed at NICU in a period of 11 years, this indicates the demanding nature of the work requirements by the nurses in their work profession. The huge workload offers nurses with a challenging task of offering quality care irrespective of the situations there are in. However, restrictions are observed on nurse-patient ratios. The study findings offer crucial knowledge to nurses in various ways. From these studies, it is evident that there is a need for standard tools for assessing nurse workload due to observable inefficiencies on credible and legal tools of measuring neonatal workload. Thus the findings of the studies done show that there is an urgent need for additional research so as to establish measures which optimize nursing care instead of nurse-specific workload. The studies displayed no indication of establishing any approval of Intuitional Review Boards. An observed expectation in these cases is the disclosure statement of the authors on no conflict interest and acknowledgments from the authors who offered supplementary information to the various studies assessed. Assessment of the impact of workload and nurse to patient ratio in the improvement of outcomes at NICU is critical. ICU mortality rates linked to nursing workload and elevated nurse to patient ratio is alarming. With this trend, the specific influence of the nurses is paramount. Nurses can play an effective role in ensuring that NICU achieves better health outcomes, however, extensive research needs o to be undertaken on the association of nurse workload and nurse-patient ratio on improved health outcomes. 1. Aiken, L. H., Clarke, S. P., Sloane, D. M., Sochalski, J., & Silber, J. H. (2002). Hospital nurse staffing and patient mortality, nurse burnout, and job dissatisfaction. Jama, 288(16), 1987-1993. 2. Callaghan, L. A., Cartwright, D. W., O’Rourke, P., & Davies, M. W. (2003). Infant to staff ratios and risk of mortality in very low birthweight infants. Archives of Disease in Childhood Fetal and Neonatal Edition, 88(2), F94-F97. 3. Grandi, C., González, A., & Meritano, J. (2010). Patient volume, medical and nursing staffing and its relationship with risk-adjusted outcomes of VLBW infants in 15 Neocosur neonatal network NICUs. Archivos Argentinos de pediatría, 108(6), 499-510. 4. Hamilton, K. E. S., Redshaw, M. E., & Tarnow-Mordi, W. (2006). Nurse staffing in relation to risk-adjusted mortality in neonatal care. Archives of Disease in Childhood-Fetal and Neonatal Edition. 5. Hamilton, K. E. S., Redshaw, M. E., & Tarnow-Mordi, W. (2006). Nurse staffing in relation to risk-adjusted mortality in neonatal care. Archives of Disease in Childhood-Fetal and Neonatal Edition. 6. Needleman, J., Buerhaus, P., Mattke, S., Stewart, M., & Zelevinsky, K. (2002). Nurse-nurse staffing and patient mortality, nurse burnout, and job dissatisfaction. Jama, 288(16), 1987-1993. 7. Pillay, T., Nightingale, P., Owen, S., Kirby, D., & Spencer, A. (2011). Neonatal nurse ratios and risk management of mortality in very low birthweight infants. Archives of Disease in Childhood-Fetal and Neonatal Edition, 88(2), F94-F97.